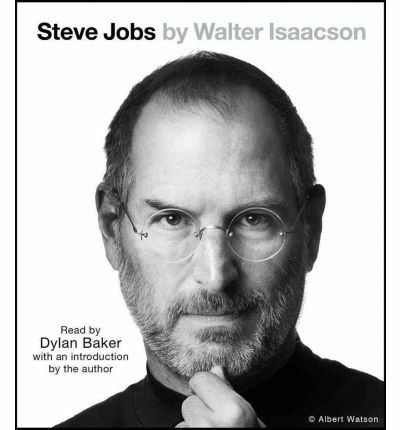 Walter Isaacson's biography of Apple co-founder Steve Jobs, drawn from three years of exclusive and unprecedented interviews Isaacson has conducted with Jobs.Isaacson, the bestselling author of "Benjamin Franklin: An American Life" and "Einstein: His Life and Universe," began work on the book in 2009 and has conducted extensive interviews with Mr. Jobs and family members, key colleagues from Apple, as well as competitors. About the Author: Walter Isaacson, the CEO of the Aspen Institute, has been chairman of CNN and the managing editor of Time magazine. He is the author of Einstein: His Life and Universe; Benjamin Franklin: An American Life; and Kissinger: A Biography, and the coauthor of The Wise Men: Six Friends and the World They Made. He lives in Washington, D.C., with his wife and daughter.